When you work in a manufacturing plant, the days are long and time off is almost unthinkable. There are often times when you and your colleagues will have to sacrifice holidays celebrated with your families to meet a deadline for a client, some which are unreasonable to say the least. When your inventory supervisor comes and reports that some of the inventory seems to have walked off, you start to fret. This is a common occurrence with most sites, where a small percentage gets taken. Most of this is because workers forget to empty their pockets before leaving. However, in this specific case, it seems like more inventory seems to have disappeared than the normal margin. Thinking it over, you come to realize that you need additional portable office buildings in your shop, which although wasn’t in the proposed budget, after explaining it to management, they will be sure to give you a budget for this unexpected expenditure, not only because it benefits your current project, but because it will work on others as well. 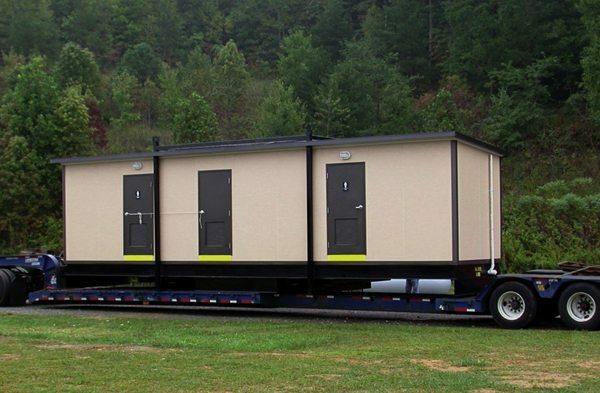 You know that management seems to change its mind like the weather, so when you started to look for your portable buildings, you come upon Panel Built Incorporated, a company that specializes in modular buildings also is a place where you can find portable buildings online. With a simple click, you download their order form and start the ordering process. With buildings being constructed in as little as two days, your site’s security can be increased in a minimal amount of time and with no effort from you. When you looked over the various portable building models that Panel Built Incorporated offers, your mind started to imagine not only supervisory offices but other offices as well. One of the things that a lot of the manufacturing factory workers often mention that they would like is a portable conference room. This isn’t for doing anything related to office work, it is more to have a place to celebrate milestones, birthdays, or holidays. You know that if you were to build this for them, your office morale would increase tenfold. This room would also be used for business purposes. Whenever management decides to make one of its “surprise” inspections or hold a meeting, this asset will be a great addition to your factory. Luckily, you have already requested a quote from Panel Built, so you know that they are the place where to buy cheap portable offices online. With a Panel Built pre built portable building office, group or one on one meetings will be a lot more efficient. In the case of a manufacturing factory setting, the benefits to purchase this office is greater than in a regular office environment. One of the most influential benefits is noise abatement. Our ½” vinyl covered drywall is not only our most popular, but it can abate fire as well as sound. Yes, you or your assistant will still have to verify the availability of each attendee, travel (if necessary), and meals for the duration of the meeting (if required), but, you will at least have the peace of mind knowing that you will have a secured space that will be quiet enough to exchange and understand new ideas. The attendees will value the extra space as well, they will more than likely will have briefcases, luggage (if they are from out of town), and depending on climate and time of year, coats. One service that makes Panel Built Incorporated stand out amongst our competitors is that you can order your portable building on the Internet. Some of our buildings will take less than a week to ship out, with our shortest time being two days. After you get approval from your managers (if necessary), you could place your order, and then two days later, a complete office will be shipped to your doorstep. It could be very likely that your anticipated space will not be ready for our office by the time you get the notification that your office’s construction has been completed. Our Two Day Quick Ship Offices vary in size from the small 8’ x 8’ to the impressive 20’ x 40’ office. Additional options would include 1/4” tempered glass windows, a standard HVAC unit to ward off the elements, 6” batt insulation, a 2’ x 4’ drop ceiling, thicker doors, and standard electric hookups. Depending on the type of job, the latter could easily house two to four workers if you have multiple supervisors in your plant. In addition to this, we are extremely flexible when it comes to shipping: we can drop the building off to you at your warehouse or site; or if you would rather pick it up at our offices and transport the building on your own, we’d be more than happy to accommodate you. Our goal is to make sure you get the best business that you deserve.